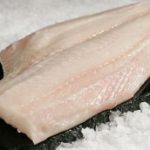 Photo courtesy Seattle Fish Co.
Fresh Halibut season is now underway and the fish have been coming in looking great! 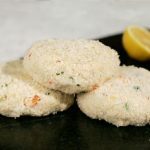 On Monday, March 22nd, Tuesday, March 23rd and Wednesday, March 24th, Seattle Fish Company will give away a FREE Crabcake for each pound of Fresh Halibut you purchase. Plan ahead and take advantage of this special offer! Seattle Fish Company focuses primarily on quality and freshness. They don’t sell any farm-raised fish. They support sustainable harvesting of wild fish and other seafood. You can order online or they have one of two locations, at 4435 California Ave SW, right here in The Junction!